Rihanna - celebrity looks and style. Must see! Now Rihanna is the fashion icon. Her style is copied by teen girls; journalists try to know her favorite label and her favorite perfume. Rihanna night outfits impress her fans and her hairstyle is analyzed with the only aim – to steal it. It is hard even to imagine that earlier, at the beginning of her career, Rihanna’s style was criticized, she was called too bright and vulgar. What way did the star made from her designer’s flops to owning Rihanna clothing brand? Seventeen year old Rihanna made a great debut. She captured the hearts of her fans all over the world, but she irritated all the designers. Her style was called “awful”, “vulgar” and “tasteless”. But Rihanna’s fashion experiments are easy to explain. She grew up in a poor family and dreamed one day to look like her idols Madonna or Mariah Carrey. That time she thought that shining glamorous world of pop stars is full of glitter. When she earned enough, she started to create unusual fashion combinations. 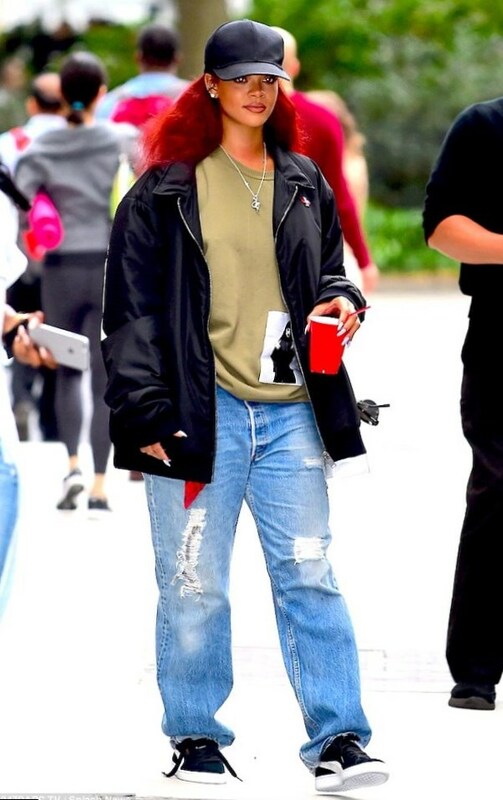 That time Rihanna everyday outfits looked awful. She wore too short skirts, which couldn’t cover her lingerie, covered her body with massive chains and chose baggy jeans with low waist. Her first public appearance in 2005 at MTV Music Video Awards, when the star put on white top and white jeans, was criticized. The young lady showed her ideal belly, which she decorated with golden chain and added a small brilliant jacket. Getting numerous negative reviews from designers, Rihanna decided to change her style. She paid attention to such a great part of female wardrobe like dress. Rihanna dress style appeared to be a great idea. The girl had great figure and she looked perfect in almost any dress she chose – whether it was Rihanna party dress or Rihanna shirt dress. At MTV Music Award 2006 she appeared in one of Rihanna black dresses. It was made in vintage style. The dress was small, with a low waist. It was decorated with narrow white stripes. The star put on high hilled black and white shoes. After critical modest approval, Rihanna short dresses became the base of her wardrobe. The girl grew up … and changed her style. Good girl Rihanna broke up with her producers and started the new line in her career. Rihanna fashion dresses were changed into leather shorts and long boots. The star concentrated on black color and it was the base of her new wardrobe. Rihanna performance outfits were called in press “vulgar” and “odd”, but she liked her aggressive style as thus she showed, that she can care about herself. Rihanna visited MTV Movie Awards-2007 in leather black dress with an open bodice and magnificent skirt. She used much massive jewelry. Leather outfit was the most challenging among Rihanna club dresses. She proved that she was the best from the best in music making and got the title of Pop Princess. But it was not enough for Rihanna, who dreamed to add one more award to her collection – she wanted to become the fashion icon. The star started visited numerous fashion shows, where she watched the models attentively and used the new tendencies in her wardrobe. Rihanna decided to leave her love to eccentric details in her outfits. At the same time she learnt the main principles of good taste and created her new image according to them. Rihanna tour outfits were perfect; her clothes at numerous public events were copied by the new born stars. It was the time, when she opened Rihanna clothing store. Her face appeared on the covers of the most popular fashion issues like “Cosmopolitan” and “Vogue”. Her best outfit in that period she put on to Costume Institute Gala-2009. The star put on Dolce & Gabbana male black suit and looked unordinary and really attractive. Rihanna got older. She coped with numerous difficulties in her personal and professional life, passed through cruel scandal with her boyfriend and decided to forget about her title of fashion icon. Like an adult girl, Rihanna forgot about critical approval. She is slim, tall and extremely beautiful and she put on clothes, which she liked. Thus the star appeared at different public events in bright dresses and Rihanna fall outfits. She looked like a Hollywood Diva at various ceremonies and preferred oversized sweaters in her personal life. She came to Grammy-2011 in long gauzy white dress from Jean-Paul Gaultier and immediately caught public attention. Rihanna continues wearing fashionable dresses. That period she also became the fan of shorts. The star has great legs, which she insured for $1 million. She is ready to show her legs, wearing short skirts and small shorts. The star became mature. She paid attention to such an important part of her wardrobe as shoes. 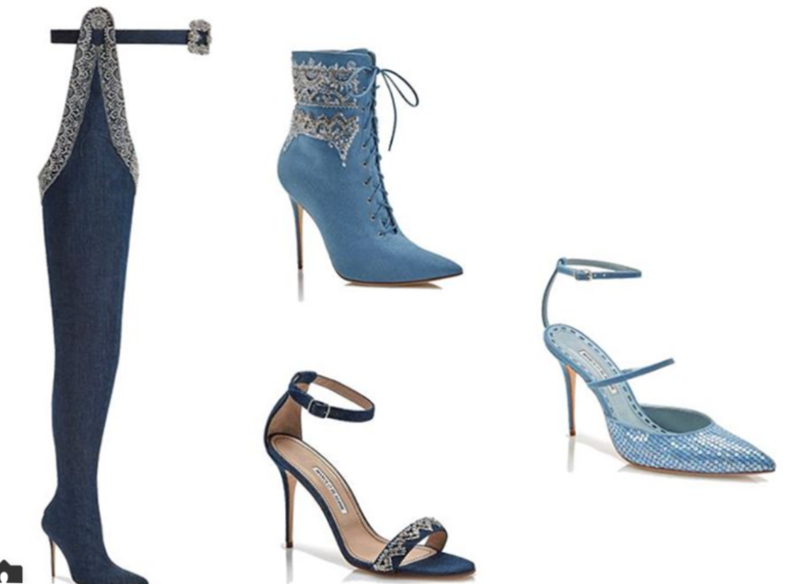 Rihanna cooperated with the famous brand Manolo Blahnik. She created collection of shoes for them. Rihanna shoes were decorated with embroidery. 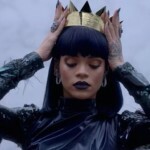 Being successful as a pop star, Rihanna proved that she can be successful as a designer too. Now Rihanna’s opinion is not the last one in fashion world.